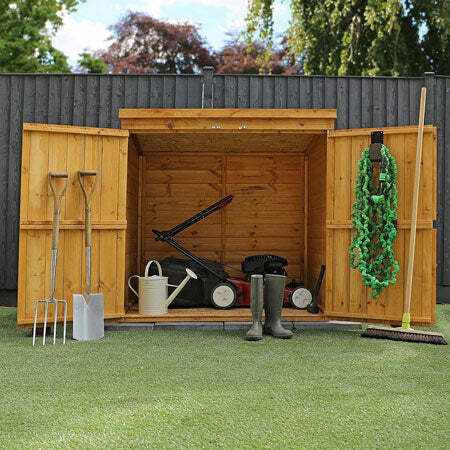 Garden sheds are used for every function imaginable: pubs, cinemas, gyms, recording studios and sometimes a place to store garden equipment. That's why our wooden sheds range offers a vast choice of shapes, sizes and features. Affordable overlap, hard-wearing tongue and groove, and the highly practical windowless sheds all offer superb quality and exceptional value. 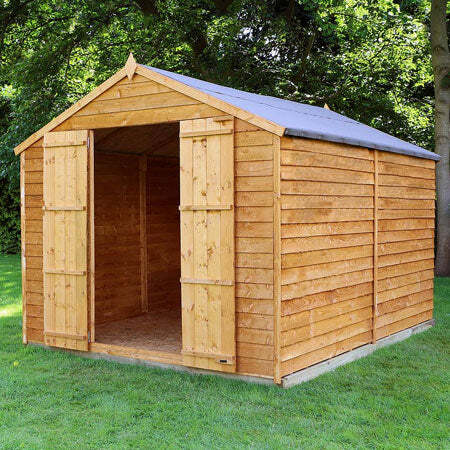 Our wooden, plastic and metal sheds offer secure storage for every outdoor space. Buy a brand new garden shed online today from Waltons. No matter what size your garden, you'll be able to find the best wooden shed for your gardening and outdoor leisure needs. We have a fantastic range of sizes, designs and cladding types available. Popular roof styles include Apex, Pent, and Curved, whilst various window glazing choices help to provide maximum value for money. Check out our wide range of shed accessories to complete your order, with bases and ladders allowing for easy construction and maintenance. 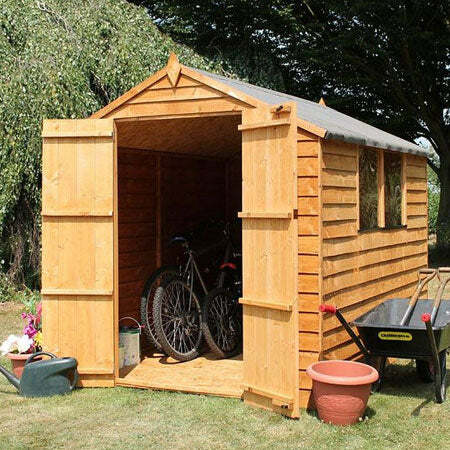 Our specialist sheds cater for more specific needs, for example our bike sheds offers a secure and a convenient place to store your bicycles. For the avid gardener our potting sheds are perfect for nurturing young plants. 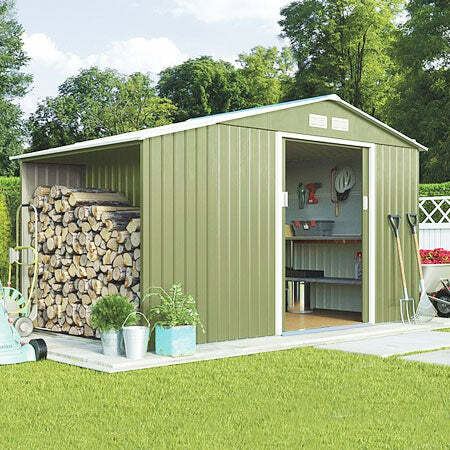 Whether you're a beginner looking for a perfect starter shed to store your newly acquired tools, or a seasoned pro seeking extra storage space, our wide range of garden buildings will meet your needs. 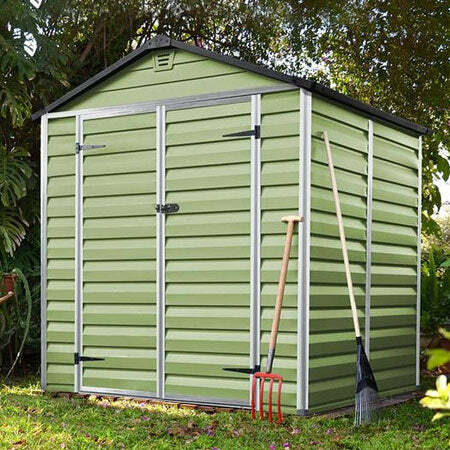 If you're just stashing away a few garden tools and a couple of bags of compost, then a simple 6 x 4 foot shed will do the job handsomely. But if you want to store and use larger items like sports or gym equipment, or even create a place to spend time and get creative, then perhaps a spacious 6m garden room is more the ticket. 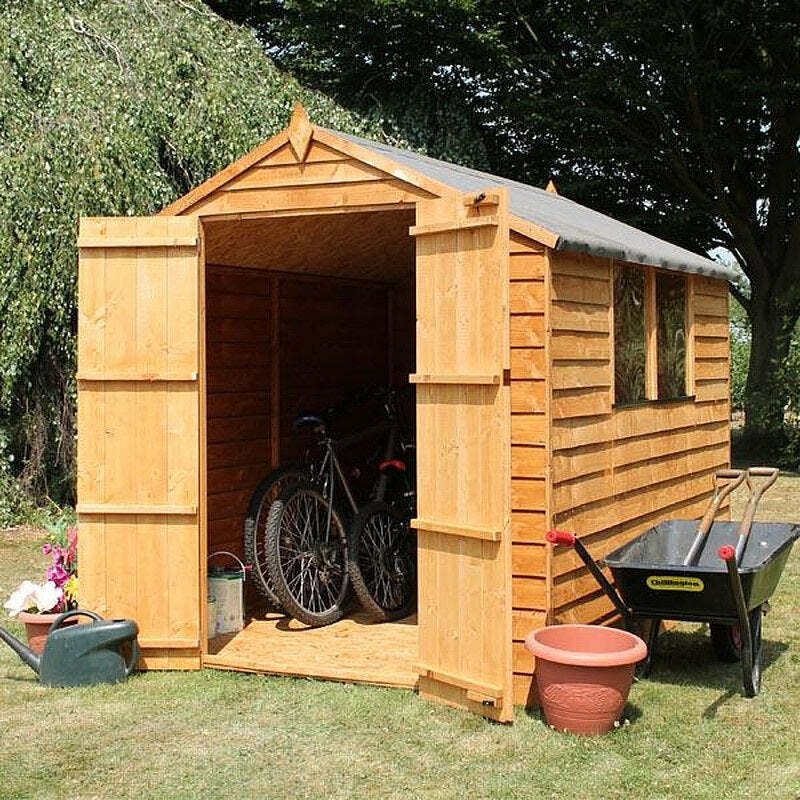 All Waltons wooden sheds come with a 10-year anti-rot guarantee and are coated with a timber preservative which ensures that your garden buildings are resistant to the elements and sheltered from even the harshest of British weather. In order to protect your garden building during transport it is also covered with a water-based timber treatment. 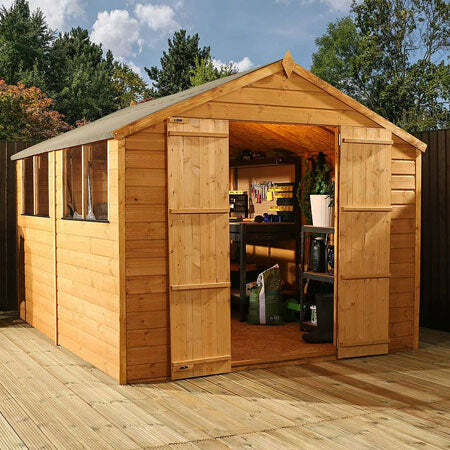 You can be assured that your shed is made to last and represents great value for money.